Keira Knightley has become one of the biggest fashion icons in the movie industry, making anything she wears desirable. This Choco Black Leather Jacket is worn by Keira Knightley character in the hit movie Domino where she plays a bounty hunter. 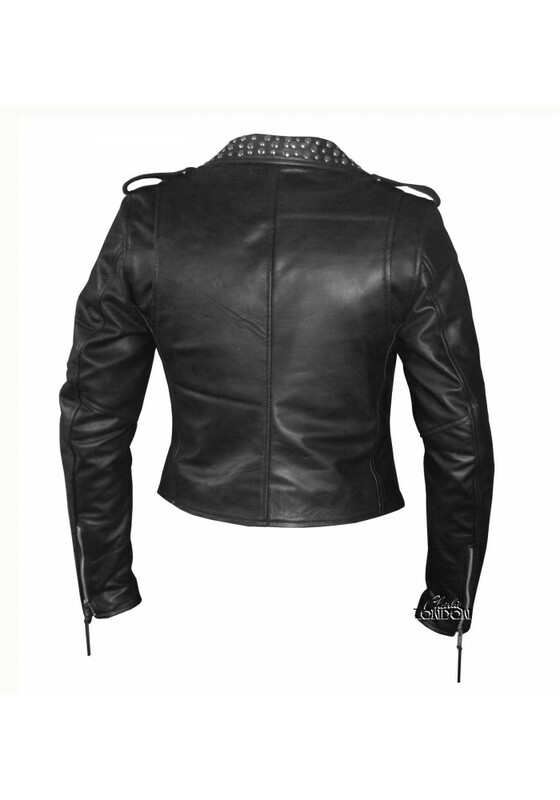 The design of the leather jacket portrays the rough and edgy character played by the star. Made from 100% Cowhide leather, this leather jacket has been skillfully crafted to replicate the original. Also available in Lambskin.